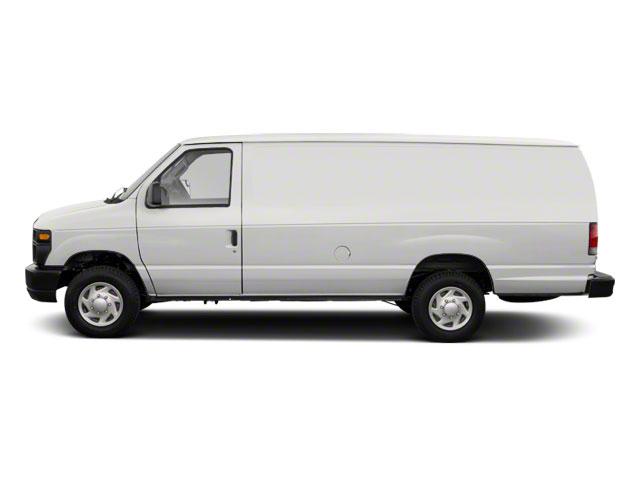 For 2014, an 8-passenger seating option is now available on some E-350 models, otherwise there are no significant changes for 2014. 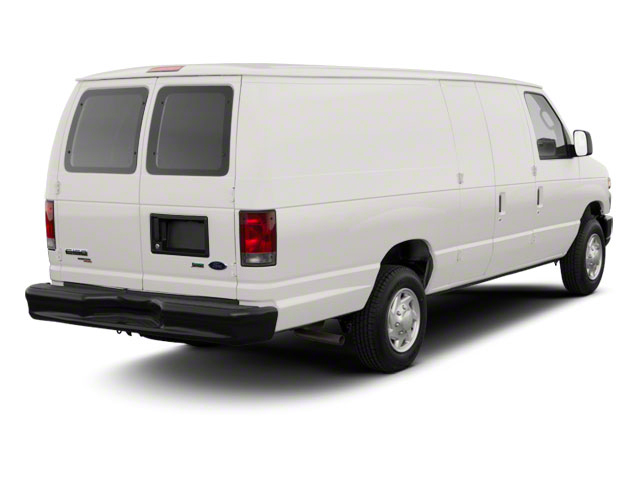 The E-Series Passenger Wagon--also known as the Econoline Van--is available as a passenger vehicle in three different models: the regular-length E-150, the E-350 Super Duty (SD), and the E-350 Super-Duty Extended-Length. Extended-length models add exactly 20 inches, providing more space for an additional row of seating or more cargo space. E-150 models are powered by a 4.6L V8 engine, making 225 horsepower and 286 pound-feet of torque; in these models, power is delivered through a 4-speed automatic transmission. Stepping up to one of the Super Duty E350 Passenger models allows the option of either a 5.4L V8, making 255 hp and 350 lb-ft, or a 6.8L V-10 that produces 305 hp and 420 lb-ft. A 5-speed TorqShift automatic transmission is optional with the 5.4L and included with the V-10. 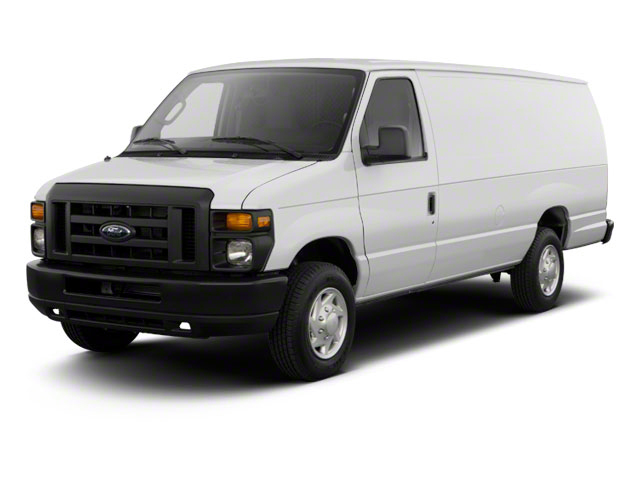 It's with the V-10 that the E-350 Passenger Wagon can be equipped to tow up to 10,000 pounds. The E-Series is built on traditional truck underpinnings, with an independent twin I-beam front suspension, and a live axle and leaf springs in back, as well as power recirculating ball steering. Four-wheel vented-disc brakes provide strong stopping power for a heavy load and there's a choice between 16-inch steel and aluminum-alloy wheels. With up to four rows of seating, on Extended-Length versions, the E-Series can provide seating for up to 15. Even standard-length versions offer seating for seven or eight. And the side-hinged rear cargo doors can be opened up to either 105 degrees or 178 degrees wide, as needed for loading and cargo. For E-Series models being placed into fleets, there's an available Crew Chief system, giving fleet administrators access to vehicle data for dispatching, usage, and vehicle maintenance. And those who tow heavy loads will want to opt for the available integrated trailer-brake controller, which interacts with the anti-lock brakes and allows more stable stops. An AdvanceTrac stability control system with Roll Stability Control is also included in all models. Other noteworthy options include an in-dash navigation system with 6.5-inch touch-screen display, as well as Sync connectivity for hands-free calling and even audio streaming. Up to 15 passengers can be accommodated in some versions of the E-Series Passenger wagon, which gives it one of the highest capacities of any vehicle, short of shuttle buses. When properly configured, the E-Series vans are one of the few vehicles to offer such high tow ratings--up to 10,000 pounds. 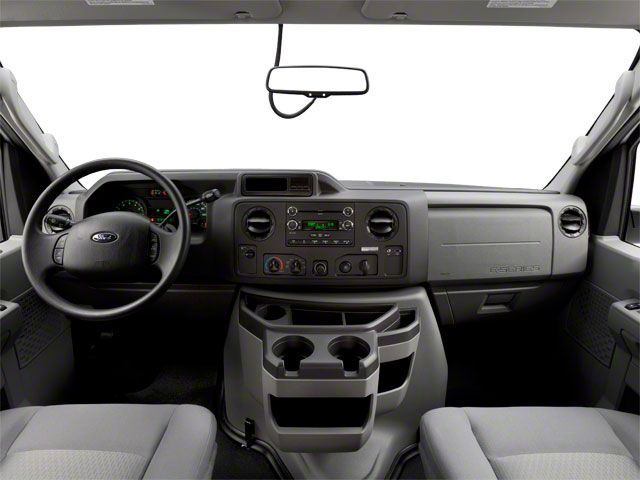 Ford has also kept the Econoline up-to-date with respect to connectivity and in-dash technology, as the E-Series vans offer its Sync system for Bluetooth hands-free calling, as well as a full navigation system. With the E-Series EPA highway rating of 17 mpg and its 33-gallon fuel tank, it has a cruising range of well over 500 miles. Both available 5.4L or 6.8L engines are natural-gas compatible with a prep package--which could greatly reduce running costs in some situations.